Ghost Gaming went from first place to third in the blink of an eye. Ghost Gaming entered the final day of Group Blue action in the Call of Duty World League Global Pro League undefeated, but didn’t make the playoffs—that’s how crazy Sunday was at the MLG Arena in Columbus, Ohio. 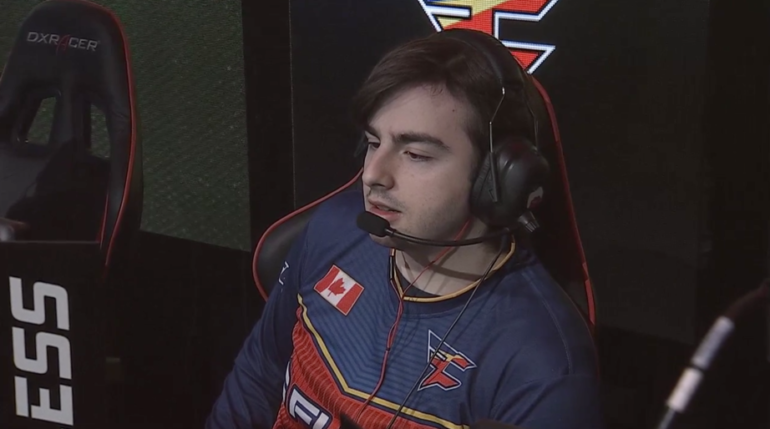 FaZe Clan and Enigma6 punched their tickets into the $500,000 CWL Global Pro League Stage Two Playoffs Sunday night after both teams managed to defeat the previously unbeaten Ghost Gaming squad. FaZe started the day with yet another 3-0 win against Elevate, and Enigma6 followed suit by sweeping Ghost Gaming. E6 won Breakout Hardpoint 250-221, Retaliation Search and Destroy 6-3, and Frost Uplink 12-3 to hand Ghost their first series loss of the weekend. Enigma6 carried this momentum into their final series against Elevate as they swept the Europeans in convincing fashion. After going 6-0 in map count on Sunday, E6 put themselves in the best possible position to secure one of the group’s playoff spots. Everything was riding on the final match of the night between Ghost and FaZe. All Ghost had to do was take two maps to qualify for the playoffs, while FaZe needed to win the series. FaZe started off strong by winning Throwback Hardpoint 250-234 and Breakout Search and Destroy 6-3. Facing elimination from playoff contention, Ghost clutched up when it mattered most on Precinct Uplink—but it wasn’t easy. With time winding down and Ghost leading 7-5, FaZe’s Peirce “Gunless” Hillman used his Active Camo payload ability to try to make a last-second dunk. Ghost successfully stunned Gunless, however, neutralizing the effectiveness of his Active Camo. But Gunless made one of the best plays of the weekend by quickly firing a pass to Tommy “ZooMaa” Paparratto, who punched in the buzzer beater dunk to send the game to overtime. Many fans thought there was no way Ghost would be able to bounce back from such a heartbreaking situation, but Michael “SpaceLy” Schmale and crew responded with a 38 second one-point throw in the first half of overtime. FaZe was unable to score faster than that, so Ghost kept their playoff hopes alive and forced a fourth map. Scorch Hardpoint, however, was all about FaZe Clan, who took the victory 250-133 to secure their spot in the playoffs and eliminate Ghost. After such a strong start to the weekend, many fans are wondering how it all went wrong for the newest team to join the pro league. FaZe and E6 both went 4-2 this weekend, but FaZe earned the first seed in Group Blue with their 15-7 map count, compared to E6’s 13-8. Ghost also went 4-2, but had to settle for third place with a 13-8 map count—but E6 held the head-to-head tiebreaker over Ghost due to their sweep earlier in the day. Although Ghost struggled on Sunday, Elevate was by far the biggest disappointment this weekend, going 0-6 without even winning a single map. The Europeans surpassed Jack “CouRage” Dunlop’s esteemed 0-15 meme by going 0-18 in map count this weekend. All eyes will now turn to Group Yellow of the CWL GPL next weekend, when Splyce, eUnited, Rise Nation, and Red Reserve battle it out for two more spots in the $500,000 Stage Two Playoffs.